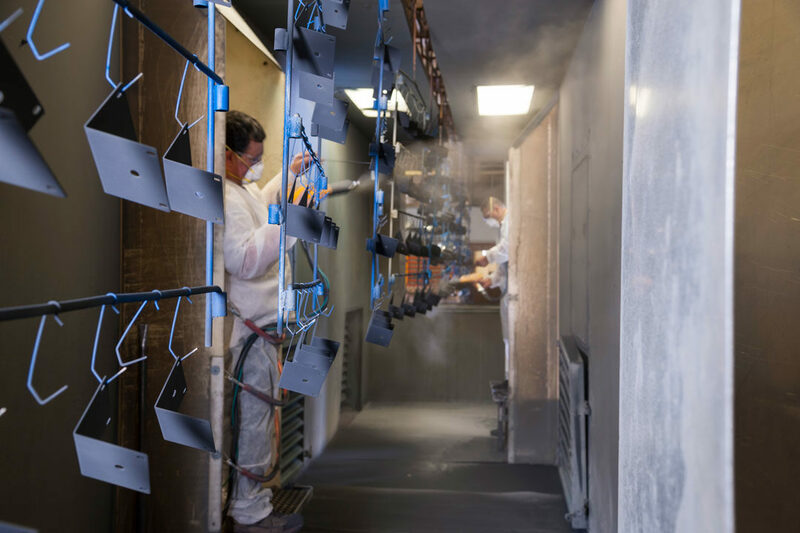 The beauty of our Powder Coating operation: it's more than skin-deep. There's more to a great powder coat operation than meets the eye. Our many years of experience and success is critical to meeting your objectives, whether to enhance product beauty, add durability, or achieve longer life. Whether your products are made from steel, iron, zinc or aluminum, Sycamore Precision can recommend the best solutions, including epoxy, polyester, hybrid or UV resistant coating to give you the look and durability you want. You'll find 'precision at work' here as well. Products are pretreated with an iron phosphate or chromate conversion coating to insure optimum powder adhesion and rust protection. We're also expert at the type of complex masking required to ensure optimum 'fit and finish'. Quality inspections continue throughout every operation up to and including packaging and shipping. The first step is easy. Sycamore Precision can create a customized Customer Preferred Program designed to meet your particular manufacturing and business preferences. You might take advantage of the volume pricing, stocking and warehousing capabilities that Sycamore Precision makes available to all of its customers.